The Mackenzie Region Paper Division of Donohue Forest Products Inc. needed to protect a clarifier was leaking due to cracks that had developed in the walls and floor. 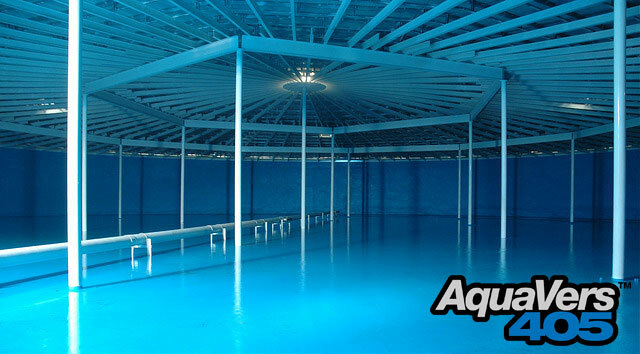 After some research, they chose Clark & Pattison as the contractor to install a new polyurea protective coating on their deteriorating clarifier. Before beginning the rehabilitation of the clarifier, the rake arms were removed leaving only the center steel structure, and then the steel structure, walls and floor of the clarifier were sandblasted to remove all contaminants. Because of the frequent precipitation a plastic dome was erected over the top of the clarifier to allow work to continue during times of heavy rainfall. The concrete and steel were then primed with PW-1, a quick-drying, all-purpose primer. 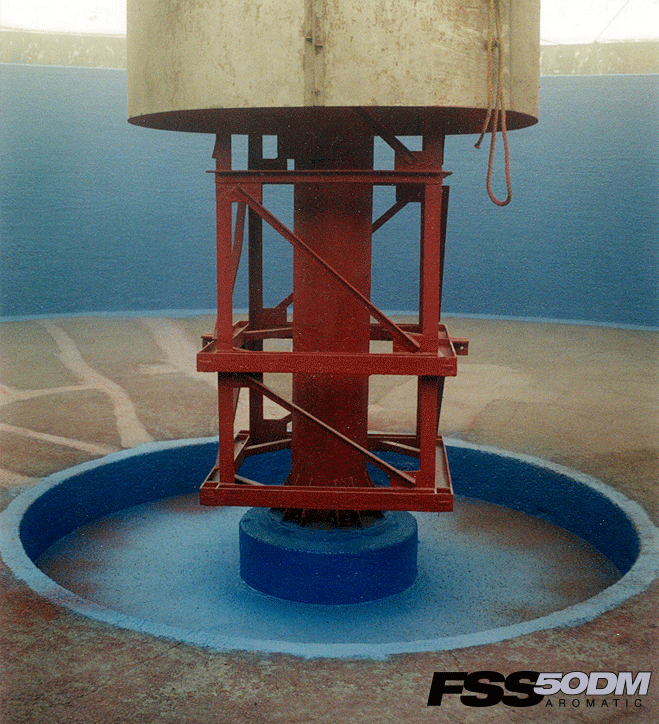 The steel was coated with red FSS 50DM and the concrete was coated with blue FSS 45DC. Polyurea was applied in circular motions due to the excessive erosion of the concrete surface which left exposed aggregate up to ½”. 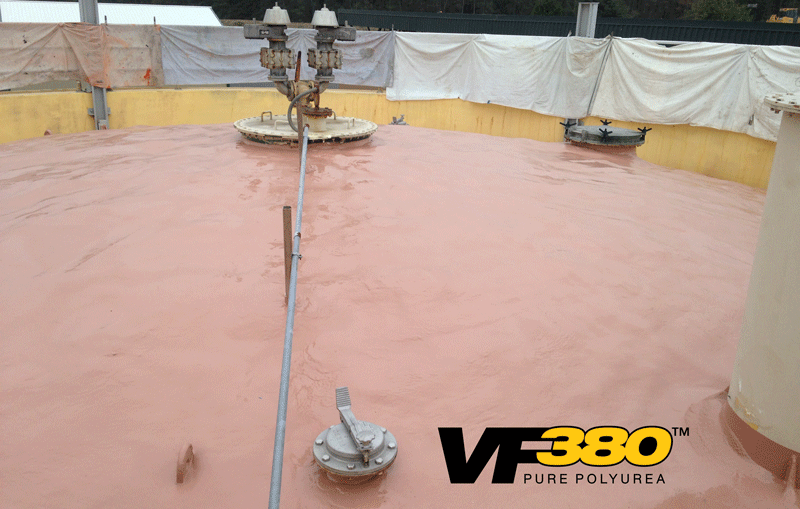 Installation was done in two consecutive days, and the clarifier was able to return to service immediately upon re-installation of its respective parts that had been removed prior to installation of the new polyurea liner.